Western Georgian cuisine is a killer! Especially for you waistline, if you can’t control yourself. And it’s hard, because usually everything that you see at the table in front of you, is simply mouthwatering! Is there any way out? Learning to cook it yourself, so that you will take over control over the portion size. 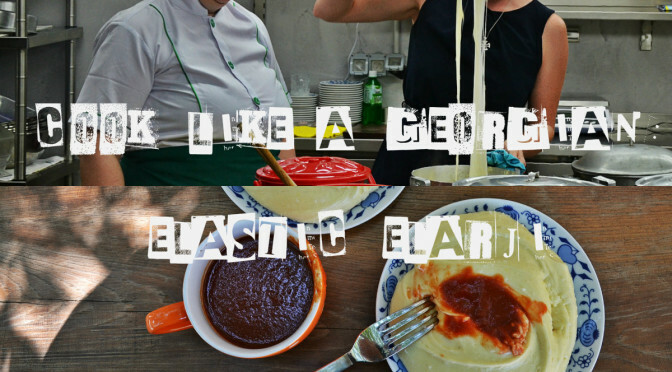 Today I am going to introduce you to elarji, a very traditional dish from Georgian region Samegrelo. The pre-story is the following: recently I’ve discovered a new restaurant with gorgeous Megrelian food in Tbilisi and after eating there posted a review at Like a Local, as I often do. Then a typically Georgian story happened: the owners have seen it and invited me to come and cook something myself. How could I miss the chance? Hehe. So I really came by and tried to learn something from the cooks, who are from that very region, so they are pretty aware, how the dishes should taste like. To me, Megrelian food is vegetarian oriented (at least, you are not offered meat with meat under meat in the meaty sauce, as in Kakheti): it includes corn, cheese, vegetables and a lot of spices and sauces, first of all, ajika. Elarji is based on ghomi, another local dish, which is made of roughly milled corn flour, gergili. 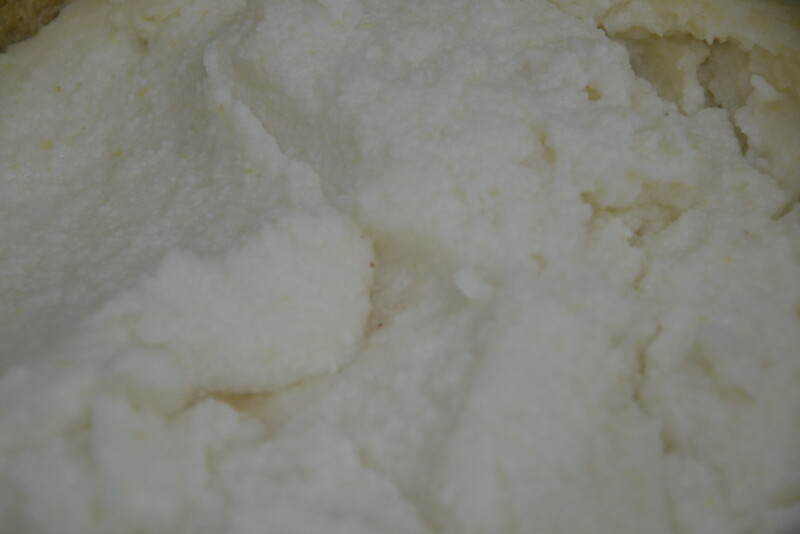 You cook gergili for around 2 hours, until it turns to a thick porridge, and then slowly add some corn flour to it. After mixing flour with gergili properly and cooking it bit more, you basically have a pot full of ghomi. And then, in order to turn it to elarji, you add some magic to it. Rubbed milky cheese. 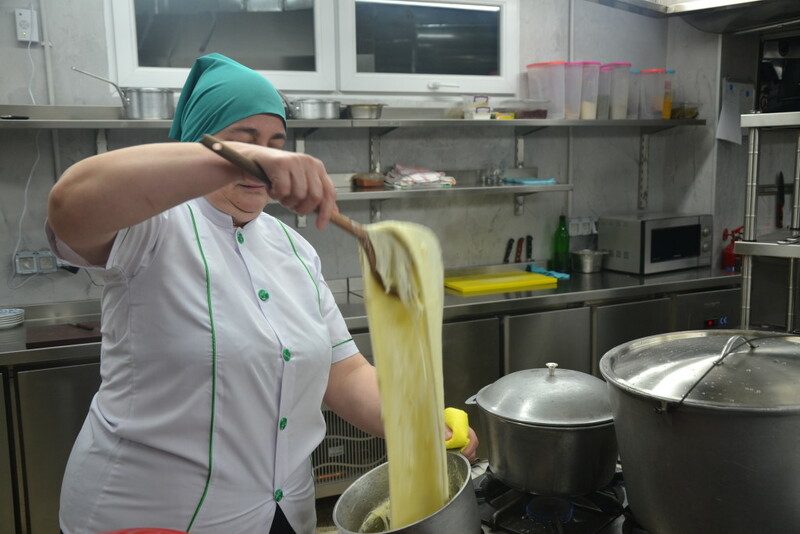 In Tashre, this restaurant, they produce cheese by themselves in a separate kitchen, but you just can find yours in the market. Fresh is important! 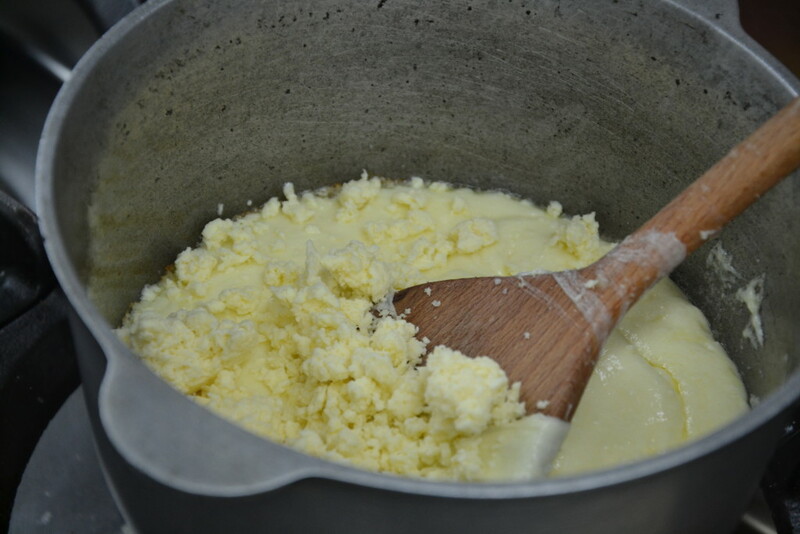 After adding cheese, the most important part of the process is getting started. First you just mix and melt it all together, and then stretch and pull it up and down for around 5 minutes. I could never imagine, how much strength one should have to do this! Seems like my morning exercise was not enough at all, because I got tired pretty fast. And this lovely lady can do it with the whole pot of elarji, not with this portion for 2-3 people! 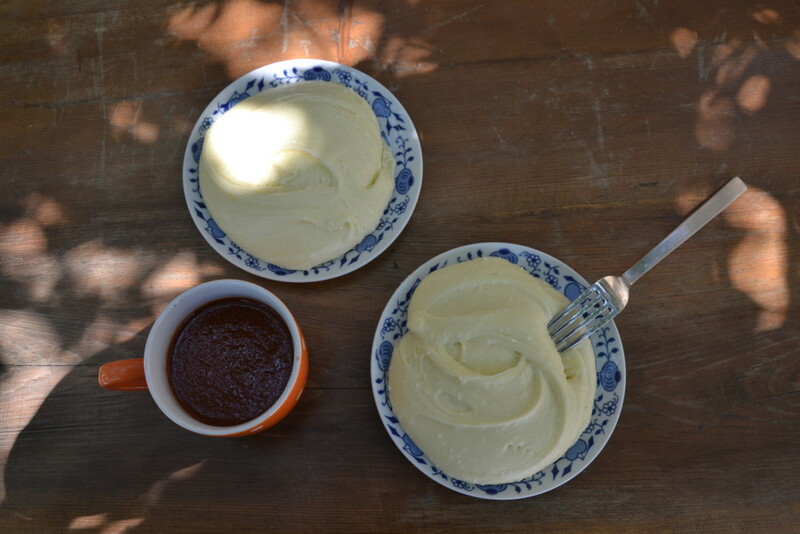 You can eat elarji with different sauces: the most popular combination is bazhe, walnut-based sauce. My masterpiece was consumed with a cup of spicy Megrelian satsebeli, which also tasted very good. The cooks of Tashre have showed me another essential of regional cuisine, but it will be probably a topic of the other post. Bon appetit and stay tuned! Born in Ukraine, now Tbilisi-based. Love seeing new places. Люблю кухню Западной Грузии. Сын мне привёз прекрасной белой крупы кукурузной и муки, настоящего копченого сулугуни. Гоми с сулугуни божественен. Нужно начистить орехов свежих и баже приготовить с эларджи.